St. Michael’s, on Maryland’s Eastern shore near the Atlantic mouth of the Chesapeake Bay, is a respectable, upscale, clean-and-tidy town. Luckily, when you’re done gawking at churches, spending all of your cash at the antique stores, and stomaching as much crab as you can pierce, you can go to Eastern Shore Brewing. I had a chance to do this on a brain-melting Sunday in July, when even the shade was too hot to stand in. It’s housed in a neat “mill complex” that also holds St. Michael’s Winery, and offers high ceilings and a sturdy brick interior. The process for enjoyment was simple: step in through a barn-like entrance, turn right, sit down at the cozy bar, and drink up. Pouring away was Jay Hudson, whose title, he said, was “eye candy.” As a journalist, I needed verification, so he showed me his card. It checked out. It was a crowded bar area so my fiancee and I carried our sampler to a section marked by its oddly Victorian furniture; it just didn’t seem to fit the laid-back atmosphere. Each of the beers was light, fairly quenching, and bouncing with citrus. My favorite was Tighty Whitey, a 6% ABV witbier made with lemongrass. Drinking it was like putting ointment on a burn: it just cut through the muck and sweat of the day and left me refreshed. My fiancee loved the Magic Hefeweizen, praising its mellow orange flavor. The unfiltered wheat beer was kind of creamy in the mouthfeel, with nary a zing of bitterness. Smooth. Others including a Summer Fling, which had a pleasant malty balance; their flagship St. Michael’s Ale, and a sweet-berry-in-the-background Knot So Pale Ale. With Grateful Dead played overhead, we slipped back into the sun assault. We missed our little oasis the second our flesh seared on my car’s black interior. 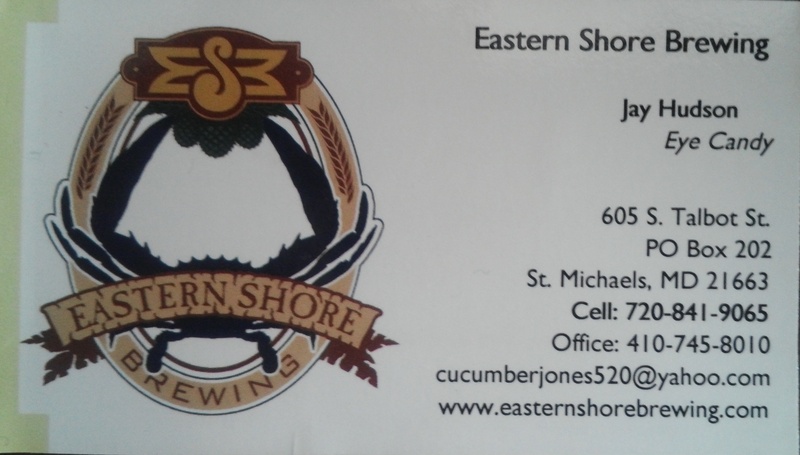 This entry was posted in Beer Snob and tagged Eastern Shore Brewing, Maryland. Bookmark the permalink.